About 200 enthusiastic fans crowded into the Isabel Bader Theatre on May 15 for the VivaCity talent showcase. The showcase featured the talents of the almost 50 youth who have graduated as the first cohort of UforChange, an arts-based youth training and employment initiative of the Wellesley Institute and our partners. The play included amazing performances, including the dynamic duo of Jo-Hannah Duarte (Sketch) and Abigail Nassy (Maro); and powerful acting from Brandon Calliste (Dre) and Akua Twumasewaah (Monique). 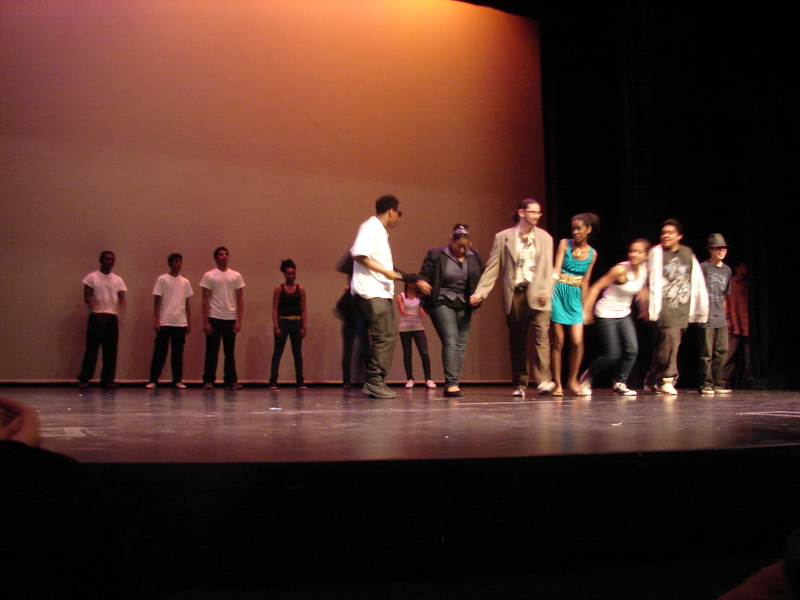 The full cast took a bow in front of the cheering audience.